A handbook for improving soil health in both organic and conventional vegetable, row crop, and small grain systems is now available at no charge from Cornell Cooperative Extension and partners that made possible a popular field day event that served as the basis for the handbook. The Reduced Tillage Field Day Handbook is available free in the Horticulture: Vegetables section of the Northern New York Agricultural Development Program website at www.nnyagdev.org. “The field day was such a hit with the 70 people who attended and received the handbook that we are making the information available on a broader basis to encourage interest in soil health practices that reduce tillage intensity and mechanical soil disturbance. Over time, this helps maintain or increase crop yields, while reducing production costs due to reduced labor, equipment wear, and fuel use,” said field day organizer Amy Ivy, a vegetable specialist with the CCE Eastern NY Commercial Horticulture Program. More than 60 percent of farmers who used reduced tillage or cover crops and responded to a New York Soil Health survey reported that flooding prevention, drought resilience and less erosion resulted from those practices. Stacking tillage tools can save time for field preparation and reduce labor and fuel needs. Cultivation is typically most effective for improving weed management with small weeds in dry, loose soil. A project in Virginia is evaluating the potential for farmers to increase their use of cover crop rolling, which has been used successfully by individual farmers from Alabama to Pennsylvania but has yet to see widespread use in the U.S.
High-residue conservation tillage systems involve using large amounts of cover crop residue to suppress weeds, reduce soil erosion, and conserve soil moisture. Although the event, held at the Willsboro Research Farm in Willsboro, N.Y., was targeted to meet organic grower expressed interest, the practices discussed in the handbook will also benefit conventional growers. Materials are included from the field day presenters, including Bryan Brown of the New York State Integrated Pest Management program on managing weeds in small-seeded crops; Ryan Maher of the Cornell Small Farms Program on zone tillage systems; and John Wallace, Cornell University Specialty Crops Systems, on weed seedbank management. The resource materials in the handbook consider crimpers, rollers, the biology of soil compaction, understanding microbes and nutrient recycling, caring for soil as a living system, and the use of reduced tillage and cover crops for organic and conventional vegetable production. Other sections look at how to avoid roller crimper problems, winter-hardy cover cropping, using cover crops to convert to no-till and no-till management for organic systems. The handbook includes information from a variety of sources including Iowa State University, the Natural Resources Conservation Service, Ohio State University, Penn State Extension, the Rodale Institute, Rutgers University, the Sustainable Agriculture Research Education Program, and the Virginia Association for Biological Farming. The farmer-driven Northern New York Agricultural Development Program, New York Soil Health, and Lake Champlain Basin Program sponsored the Reduced Tillage summer field day event. The Cornell Cooperative Extension Eastern NY Commercial Horticulture Program, CCE Essex County, and the Cornell University Willsboro Research Farm coordinated the field day programming. 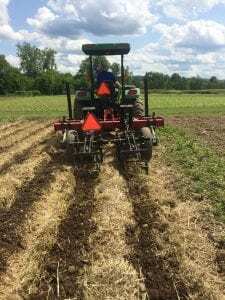 In-field demonstrations with agricultural specialists and growers from NY and Vermont and six learning stations are all part of the Reduced Tillage in Organic Systems Field Day to be held Tuesday, July 31, 2018, from 9 am to 3 pm at the Cornell Willsboro Research Farm, 48 Sayward Lane, Willsboro, NY. The event is free to attend. The overall focus of the day on improving soil health was developed to meet grower requests. While the event is geared toward organic vegetable, row crop, and small grain growers, the practices discussed will also benefit conventional growers. “Decreasing soil disturbance maintains diverse and active biological activity that is critical for well-functioning, healthy soil. Reducing tillage intensity and mechanical soil disturbance can improve soil health. Over time, this helps maintain or increase crop yields, while reducing production costs due to saved labor, equipment wear, and fuel,” notes organizer Amy Ivy, a vegetable specialist with Cornell Cooperative Extension, Clinton County. The field day topics include roller-crimping, zone tillage in high residue, in-row cultivation tools, stale seedbed and weed seed bank management strategies and grower experiences with reduced tillage on their farms. The field day speakers are Jean-Paul Courtens, Roxbury Farm, Kinderhook, NY; University of Vermont Agronomist Heather Darby; Cornell Willsboro Research Farm Manager Mike Davis; Jack Lazor, Butterwork Farm, Westfield, VT; Chuck Bornt, Cornell Cooperative Extension Eastern NY Commercial Horticulture Program; Bryan Brown and Ryan Maher, Cornell Small Farms Program; Kitty O’Neil, Cornell Cooperative Extension North Country Regional Ag Team; and Cornell University Weed Ecology and Management Professor John Wallace. Participants at the day-long event will rotate between three demonstration and discussion stations in the morning and three in the afternoon. Lunch is included. The first 50 attendees will receive a program resource booklet. The Eastern NY Commercial Horticulture Program, Cornell Cooperative Extension of Essex County and the Cornell Willsboro Research Farm coordinated this field day with funding support from the New York State Soil Health Initiative, Lake Champlain Basin Program, and the farmer-driven Northern New York Agricultural Development Program. For more information, contact Amy Ivy, Cornell Cooperative Extension Clinton County, 518-561-7450, adi2@cornell.edu. As Northern New York farmers scout corn and soybean fields for any diseases that may impact crop health and yield, they can use five years’ worth of survey results as a guide to newly-emerging and common crop pathogens in Clinton, Essex, Franklin, Jefferson, Lewis and St. Lawrence counties. The corn and soybean disease survey project is funded by the farmer-driven Northern New York Agricultural Development Program. In addition to identifying current areas of concern and trends, the project provides regional farmers with the expertise of Cornell Cooperative Extension specialists who scout 12 sentinel fields of corn and 21 sentinel fields of soybeans. These fields on Northern New York Farms represent different soils and growing conditions, and a variety of cropping practices. Fields are assessed at various stages of crop growth. The Bergstrom Lab at Cornell University in Ithaca, N.Y., has cultured and analyzed field samples since 2013. “Multi-year surveys better capture variations in weather from year-to-year, from a wet spring to drought in the past five years. The data helps farmers make more informed corn and soybean variety selections, evaluate soil and crop debris for potential problems, and plan management strategy,” said project leader and Cornell plant pathologist Dr. Gary C. Bergstrom, Ithaca, N.Y. This disease survey project was started in 2013 as the first systematic assessment of corn and soybean diseases conducted in Northern New York in recent decades. Results of the most recent NNY corn disease survey by county is online at https://fieldcrops.cals.cornell.edu/corn/diseases-corn/corn-disease-survey/. A statewide soybean disease survey is online at https://fieldcrops.cals.cornell.edu/soybeans/diseases-soybeans/soybean-disease-survey/. For more information, contact Cornell Cooperative Extension North Country Field Crop Specialists Kitty O’Neil, 315-854-1218, and Mike Hunter, 315-788-8450. Following the successful application of biocontrol nematodes to reduce the impact of alfalfa snout beetle, Northern New York farmers and a research team led by Cornell University entomologist Elson Shields are now evaluating their use to combat corn rootworm. The most recent report of research trial results is posted at www.nnyagdev.org. 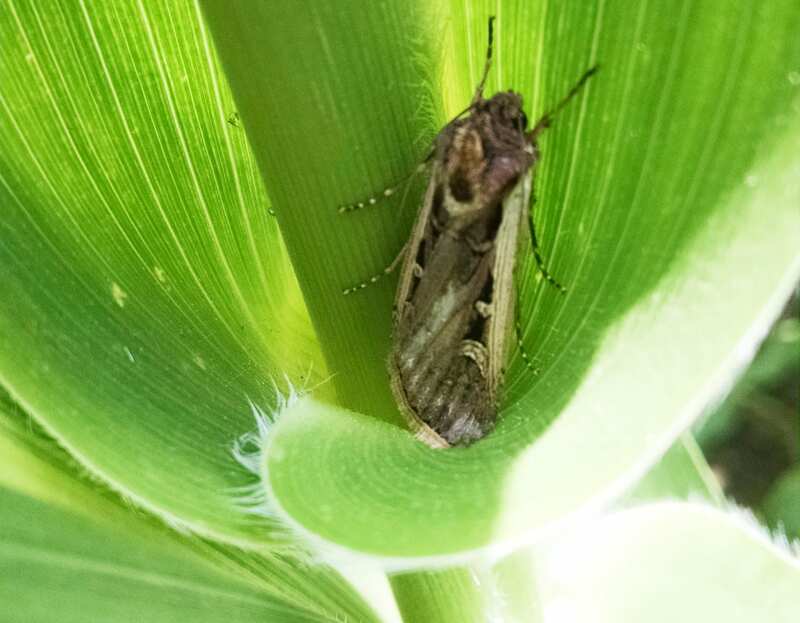 If the biocontrol nematodes are as effective against corn rootworm, farmers could potentially eliminate the need and expense for corn varieties with incorporated Bt toxin for corn rootworm or for soil insecticide use on conventional corn varieties. 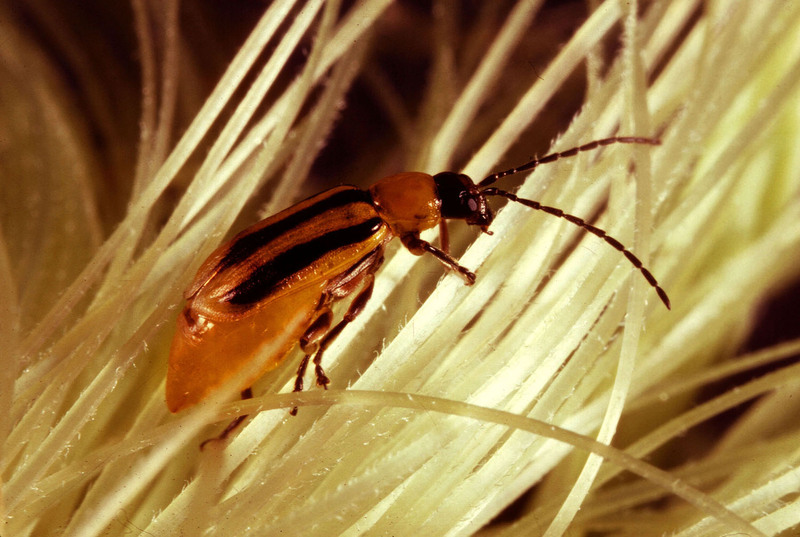 Research across 85 fields on farms in Northern New York where biocontrol nematodes have been applied to reduce snout beetle populations has shown that the biocontrol nematodes persist in fields after rotation to corn. Their populations are also known to increase in corn years 2-4 when corn rootworm larvae are feeding on corn roots. In trials since 2014 when the biocontrol nematodes were applied at the Musgrave Research Farm in Aurora, NY, they have persisted in high levels each year. They have reduced corn root feeding damage with results equal or at a better level of root protection than with the best BT-CRW corn variety in year 2 of the corn crop in the trial. Their level of persistence has also been at a level sufficient for controlling corn rootworm larvae when the population rebounds from the wet years during the hatching period. One of the farms participating in this research is Morning Star Farms in Henderson, NY. A spring 2018 bioassay there indicated a high level of nematode persistence two years after application. The level is high enough to protect a new alfalfa stand there from invasion of alfalfa snout beetle in coming years. The value of this biocontrol nematode research has now traveled from Northern New York to multiple states. For example, in West Texas, where corn rootworm adult populations have been very high, the use of biocontrol nematodes resulted in significant reduction of the pest and the root damage caused by it. The biocontrol nematode protocol is also being tested in field trials in New Mexico, Ohio, and Michigan. 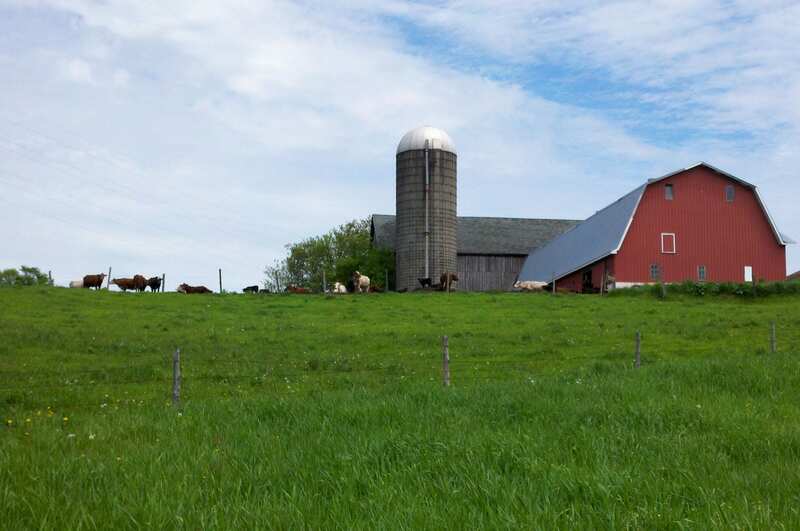 The farmer-driven Northern New York Agricultural Development Program is a research and technical assistance program for the farmers in the six northernmost counties of New York State. Funding for the Northern New York Agricultural Development Program is supported by the New York State Senate and administered by the New York State Department of Agriculture and Markets. The results of past projects funded through the Program are posted at www.nnyagdev.org. Untreated, alfalfa snout beetle is costing Northern New York farmers with 100-cow dairies between $30,000 to $60,000 per year every year, depending on the size of the pest infestation and the speed of alfalfa stand loss. The current cost of controlling alfalfa snout beetle with biocontrol nematodes in a single application for multi-year control is $28 per acre plus the cost of application by the farmer or a custom service. “Even with the terrible milk prices farmers are currently facing, the cost of biocontrol nematode application should be weighed against the cost of not protecting your alfalfa crop,” says Dr. Elson Shields, the Cornell University entomologist who pioneered the biocontrol nematode solution to combat alfalfa snout beetle and that now appears to be useful for protecting other crops. 3. the resulting impact on farm CAFO plan from increased phosphorus brought on farm with increased purchases of protein-like soybean meal. When a nematode-treated alfalfa field is rotated into corn, research has shown a positive impact on reducing wireworms and corn rootworm. After 4 years of corn production, research has shown that the biocontrol nematodes remain in the field at sufficient populations to provide continual control of alfalfa snout beetle. Biocontrol nematode applications must be made before September 15. Best results are obtained by applying to alfalfa fields in their seeding year or first production year. Three to five are needed to totally inoculate a farm with nematodes to reduce the snout beetle population to a manageable level. Learn more at www.alfalfasnoutbeetle.org. 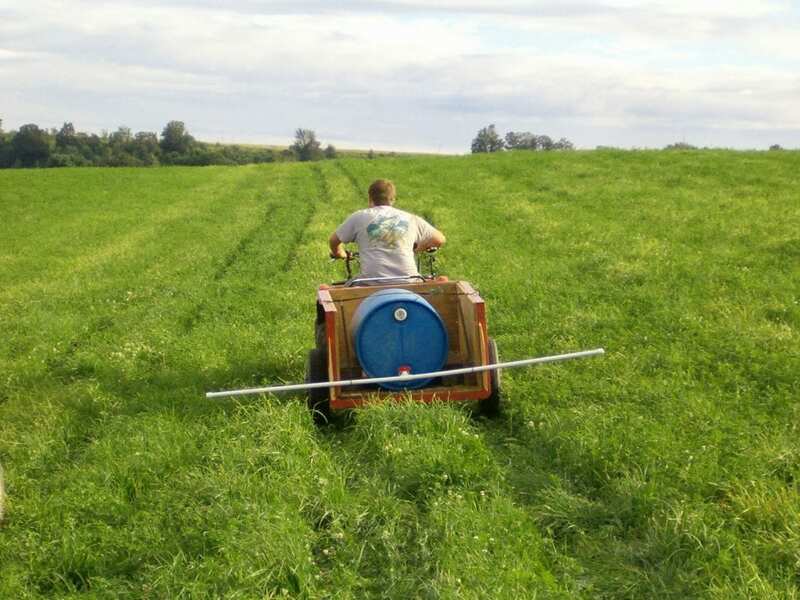 A long-term research commitment by the farmer-driven Northern New York Agricultural Development Program supported the development of the science needed to pioneer the use of native nematodes, tiny insect-attacking worms, as a biocontrol to suppress the spread of alfalfa snout beetle. Subsequent research funded by the Northern New York Agricultural Development Program, New York Farm Viability Institute, and others is showing application of the biocontrol nematodes for controlling berry pests, white grub, and other crop pests in New York State and elsewhere in the U.S.